I just found a cute Sirenix fan art its Stella. It was made by suusj-chan. SunshineWinx wrote: It's so cute! Anime and Winx combined! so adorable! 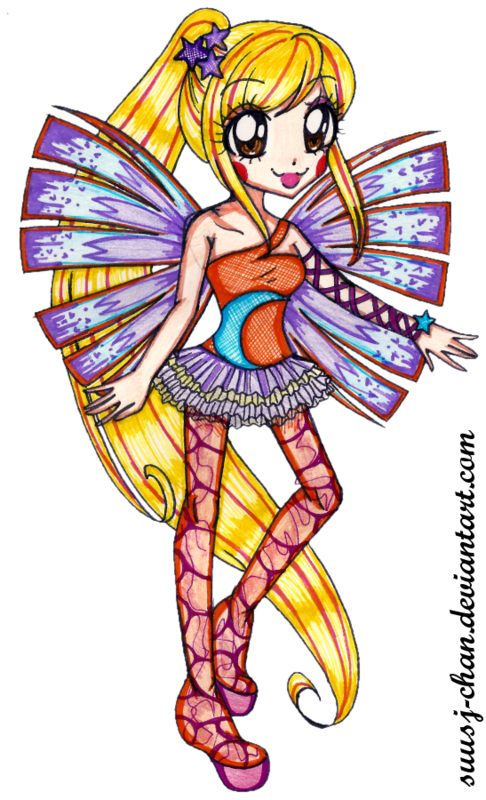 km1423&WinxClubFan wrote: Anime and Winx combined! so adorable! Aww, how cute! She's wonderful!